Natasha Lyonne is currently out promoting her new Netflix series 'Russian Doll' and today(January 23rd) her stylist Cristina Ehrlich posted her look to her instagram page showing off her promo look. 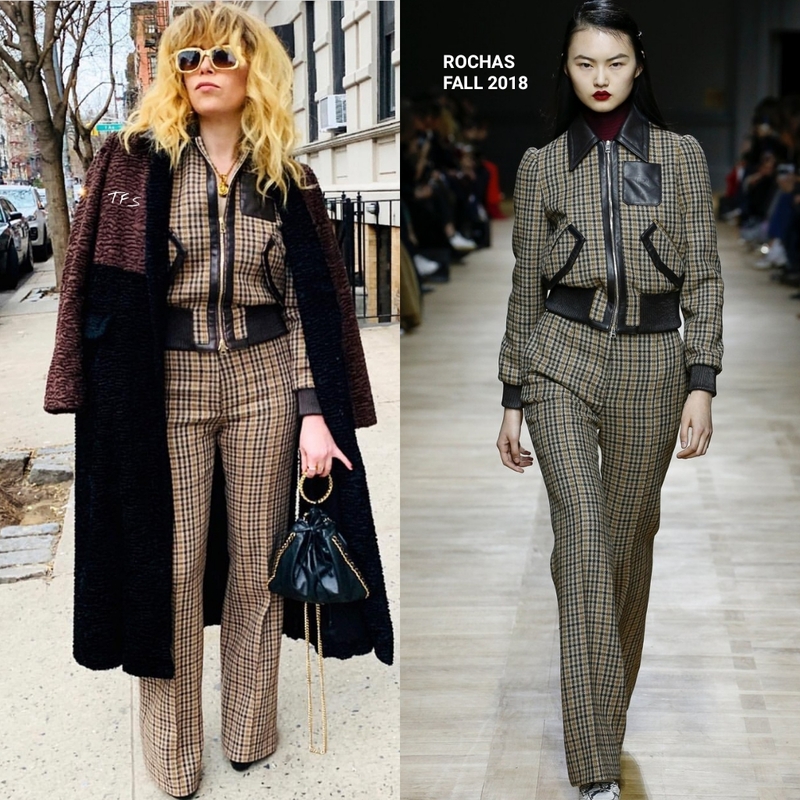 She posed for the gram rocking a brown plaid & leather panel ROCHAS FALL 2018 bomber jacket and matching trousers. She kept warm in a RACHEL COMEY coat. This look is giving me retro, sporty vibes, which is something that Natasha clearly does well. Gold accessories, a black ring handle bag and her signature waves with bangs rounded out her look. Are you feeling Natasha's instagram style?